This is my acoustic arrangement of this popular song by The Beatles for flatpicking guitar solo with chords and melody. 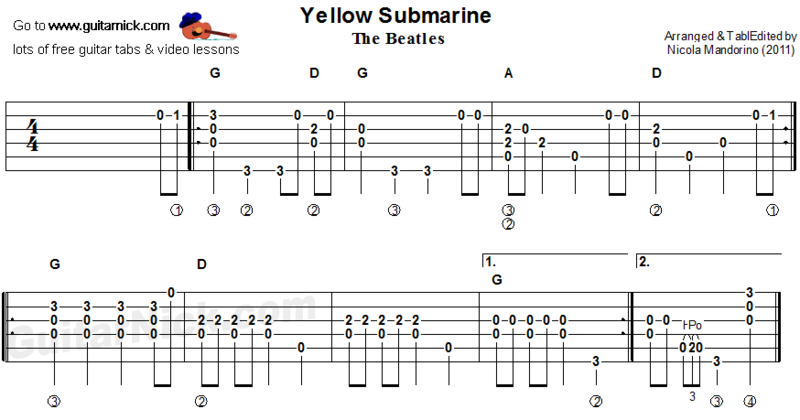 In this song is important to play the fast passages using alternate picking. You can also play it fingerstyle but the pick gives more rhythm. Learn to play the song on the guitar with free tab, sheet music, chord progression and my video tutorial on YouTube.